Hey everyone, do you think you can find all the words in this word search? But more specifically on the different maritime sectors. Leave a comment on how long it took you to find it and what you words you want to see next. 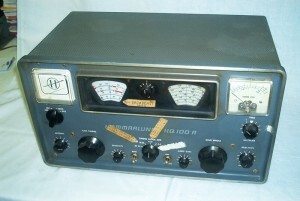 If a vessel sinks and survivors make their way to a lifeboat, the lifeboat radio may be the sole means of communication. 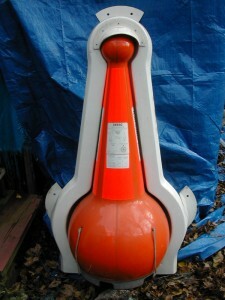 The lifeboat radio is designed to float and is colored orange for maximum contrast with the ocean’s surface. 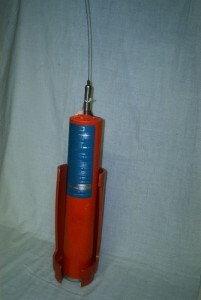 When in use, a ground wire is hung into the water and the antenna is erected, Instructions are included with the radio. 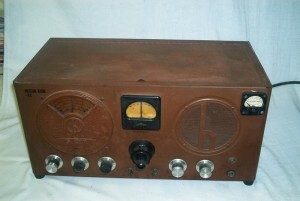 The radio is hand crank powered for transmission and reception. Communication is by Morse Code (Telegraphy). Transmissions may be automatically keyed or keyed by the operator. Operating frequencies are 500KHz and 8.364MHz. Operation in automatic mode on 500KHz will generate an alarm on receivers. The lifeboat radio receives signals in code as well. The INMARSAT system allows rapid communications between a ship and a land station or between ships. Communications is by voice or teletype; distress calls and messages can also be initiated. The system consists of four satellites in geosynchronous orbits (each satellite is over a fixed point on the earth’s equator). One satellite is over the Indian Ocean, two over the Atlantic Ocean, and another over the Pacific Ocean. Coverage by these satellites is worldwide, except in the Polar Regions, where ship cannot sail anyway. Many countries have a land earth station in communication with at least one satellite. Ship earth stations have a means of pointing their antennas toward a satellite and compensation is provided for changes in the ship’s heading and also for pitching and rolling in heavy seas. Voice communications are initiated by dialing, very much like dialing long distance telephone calls on a landline. The INMARSAT system is integrated with the landline telephone networks. Each ship has its unique station number for receiving calls. For teletype messages, the text is first entered via keyboard on to a monitor; it may also be printed if desired. 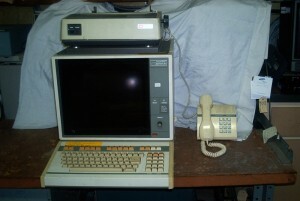 When the message is sent, the receiving station can display it on a monitor and/or print it. Pressing a button (well-guarded to prevent accidental initiation) will initiate a distress call that goes directly to the search and rescue authorities. World Maritime Day is on September 29th, 2016. “According to the United Nations Conference on Trade and Development (UNCTAD), around 80 per cent of global trade by volume and over 70 per cent of global trade by value are carried by sea and are handled by ports worldwide. These shares are even higher in the case of most developing countries. Without shipping the import and export of goods on the scale necessary to sustain the modern world would not be possible. Seaborne trade continues to expand, bringing benefits for consumers across the world through competitive freight costs.There are more than 50,000 merchant ships trading internationally, transporting every kind of cargo. The world fleet is registered in over 150 nations and manned by more than a million seafarers of virtually every nationality. Over the past 50 years and more, IMO has developed and adopted a comprehensive framework of global regulations covering maritime safety, environmental protection, legal matters and other areas. Under this regulatory framework, shipping has become progressively safer, more efficient and more environment-friendly. Have a Happy World Maritime Day!!!!! Hey everyone, do you think you can find all the words in this word search? 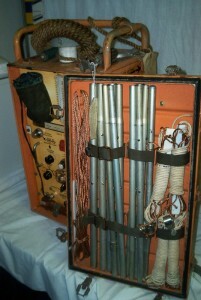 But more specifically on the Portable Radiotelegraph Model ET-8053. Leave a comment on how long it took you to find it and what you words you want to see next. Early mariners did not have a compass. They had to rely on the sun in daytime and the stars at night to determine direction. The Chinese were the first to make use of a compass. This was magnetic compass, which points to the earth’s magnetic North pole. The material used was lodestone, a magnetic ore of iron. Magnetic compasses, now made using magnetized steel, are widely used. True North and magnetic North very rarely coincide. Nautical charts show the difference between magnetic North and true North. The Emergency Position Indicating Radio Beacon (E.P.I.R.B.) is a supplemental means of sending a distress signal. If a vessel sinks, the E.P.I.R.B. is designed to float free and begin to transmit a distress signal. 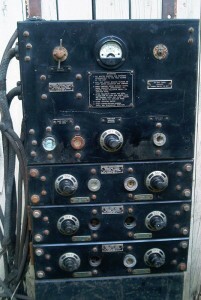 The signal is in Morse Code and includes the name and call sign of the vessel. The frequencies are 121.5MHz and 243MHz, which can be received by aircraft as well as surface vessels. The E.P.I.R.B. is colored orange to provide maximum contrast with the ocean’s surface. EPIRBs are generally installed on boats and can either be operated automatically after an incident or manually. In most countries they are mandated to be used in all commercial shipping. However, they are also used on yachts and leisure boats. The basic purpose of a distress radio beacon is to help rescuers find survivors within the first 24 hours following a traumatic event during which the majority of survivors can usually be saved. Most beacons are brightly colored and waterproof. The units have a useful life of 10 years, operate across a range of conditions −40 to 104 °F, and transmit for 24 to 48 hours. Hey everyone, do you think you can find all the words in this word search? But more specifically on the St. George Ferry to Whitehall Terminal and body of water in between the terminals. Leave a comment on how long it took you to find it and what you words you want to see next. Depth sounding refers to the act of measuring depth. It is often referred to simply as sounding. Data taken from sounding are used in bathymetry to make maps of the floor of a body of water, and were traditionally shown on nautical charts in fathoms and feet. The National Oceanic and Atmospheric Administration (NOAA), the agency responsible for the bathymetric data in the United States, still uses fathoms and feet on nautical charts. The earliest soundings were probably by lowering a pole into the water to touch bottom. The greatest practical depth by this method is not much more than 20 feet. Next would have been a stone, or better, a lead weight, tied to a rope. The greatest practical depth to be measure would be perhaps 300 feet. All electrical depth sounders operate by transmitting a short pulse of sound, then listening for the echo from the bottom. The time between transmitted pulse and the echo is interpreted as depth. 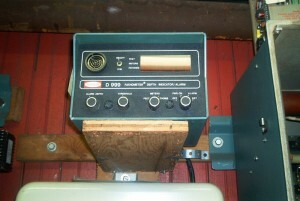 Early electrical depth sounders utilized a rotating dial with a neon lamp. The echoes were amplified and applied to the neon lamp, causing a flash. 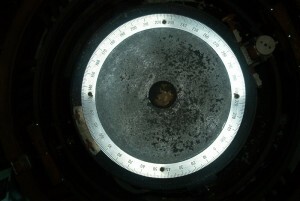 The displacement of the flash was proportional to the depth, and the dial is marked in units, such as feet, fathoms or meters. Recorders were also used; in this case, the amplified echo is applied to a moving stylus which traces along a moving chart. An electrical impulse applied to the stylus causes the chart paper to turn black, thus leaving a permanent record. Recorders were installed as an option. Their installation and use was made mandatory after a tanker ran aground in the 1970’s and broke open, spilling its cargo which washed ashore and fouled beaches. 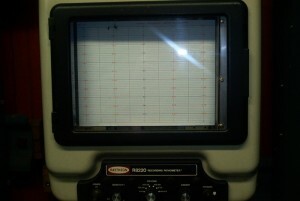 Modern depth sounders use a digital read out. 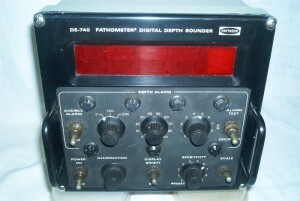 Fish finders are an adoption of depth sounders. These usually have a means of differentiating a fish near the bottom from a rock or debris lying on the bottom. Also available are display sounders with either a monochrome or multicolored chart like display, often utilized in fish finder service. Survey sounders have a means of compensating for tide (level of water above or below mean sea level) and draft (depth of vessel in the water) so that the true depth is recorded. Just like to take this time to welcome the newest interns of the Museum of MNCNY. Congratulations on being accepted, it is great to see the young generations taking the initiative and getting involved. I hope that through your experience here at the Museum of MNCNY that your career continues to flourish and strive. I hope you all enjoy your time here and I look forward to working with all of you soon. 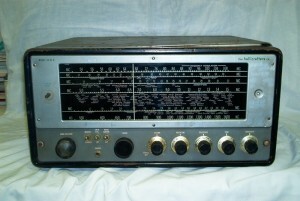 The Radio receivers are as old as radio itself. After all, radio signals had to be intercepted and converted into an intelligible form to be useful. At first the signals transmitted and received were by Morse code (radio telegraphy). Fittings these types telegraphy aboard ships were mandatory in the first decade of the 20th century (1900's). The Titanic disaster (1912) changed that. A ship was an hour away but did not hear the Titanic's distress call. A ship that did hear the distress call was more then three hours away, but rushed to the scene. By then, the titanic had sunk with great loss of life. Voice transmissions (radio telephony) came into use in the 1920's. A frequency was set apart for calling and distress. Quiet times were prescribed to enable listening for distress calls. Hey everyone, This word search will be compiled of words that you would see daily in Maritime Navigation and Communication, but more specifically on Radiofacsimile Weather Maps. Do you think you can find all the words in this word search? Leave a comment on how long it took you to find it and what words you might want to be seen in the next word search.